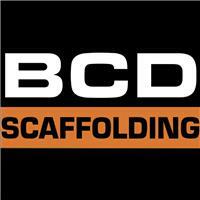 BCD Scaffolding Ltd - Scaffolder based in Ascot, Berkshire. We are a local business based in Ascot that covers all surrounding areas and will beat any genuine quote. Our company started in 2009, with previous experience of over 20 years in all areas of scaffolding. We are safe contractor & CHAS registered, and are one of the few scaffolding firms with public liability insurance for £10million. I am an advanced scaffolder and so are all my employees. I also have ipaf, confined space, forklift and many more qualifications. For more pictures and information we can also be found on Facebook. All quotes are FREE of charge with no obligation and we aim to beat any genuine quote in our local area. Please feel free to call or email for any advice or queries you may have on scaffolding.